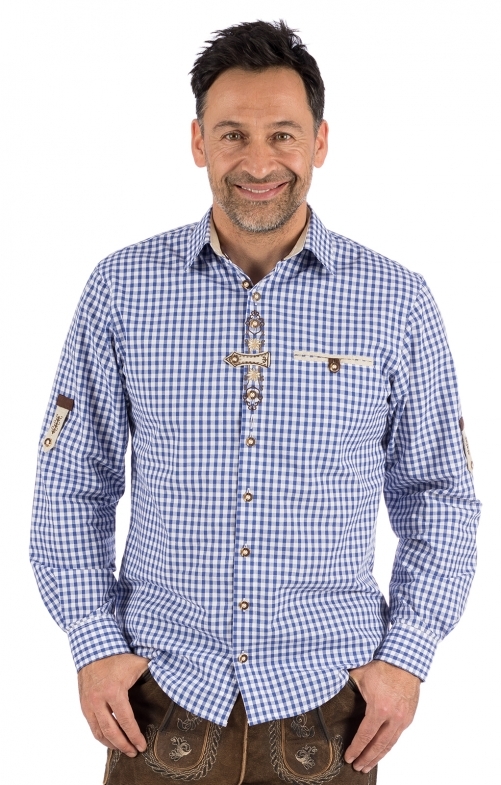 Trendily dressed with the traditional shirt Karo by Dachstein. The dress shirt is made of cotton with polyester content, has a blue cheque pattern and chic trim on the button placket and on the sleeves. Whether at leisure or at a festival, the classic in country house style can be perfectly combined with jeans or leather pants.